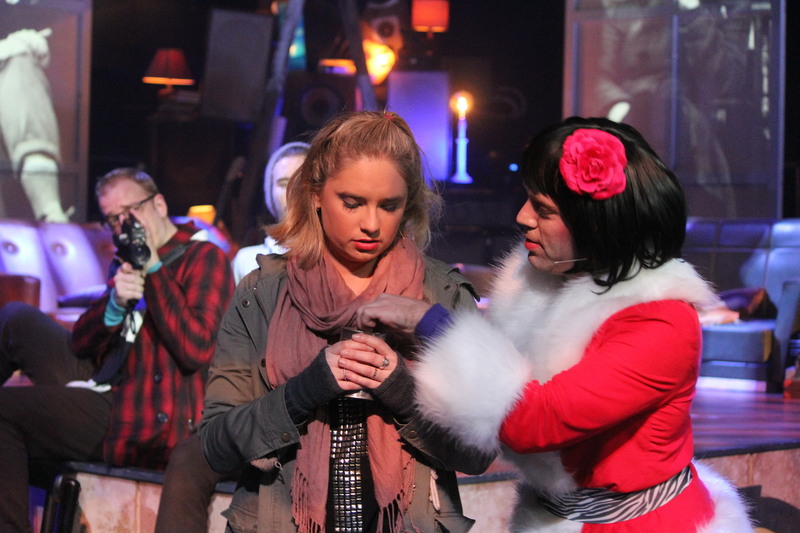 Seminal modern classic Rent is given a layered, energetic production by up-and-coming community theatre company CenterStage Geelong. In the space of less than the 20 years, the New York depicted in the 1997 musical has altered, as gentrification and commercialism have made Manhattan an overpriced playground for wealthy residents and tourists. 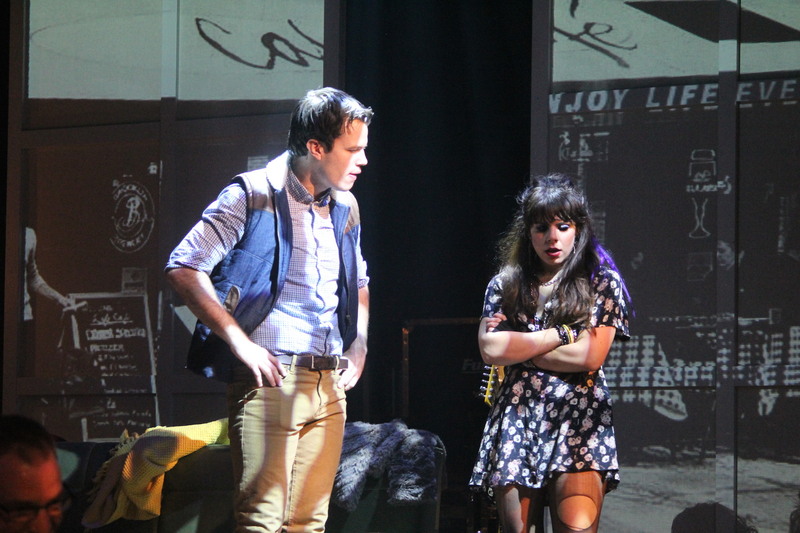 Still, just as Rent’s source material La Bohème has thrived for more than 100 years, the characters and sentiment of Rent have a timeless, enduring appeal. Experienced director Paul Watson has mined Jonathan Larson’s intricate text for all the meaning and spirit it can provide. Character work for the full company is strong and focused, and energy levels are inspiringly high. Storytelling is crystal clear, thanks to the combination of Watson’s direction and set design and the excellent sightlines of the stadium seating. Music director Brad Treloar’s decision to keep tempi just a shade slower than usual also aids this clarity, allowing the fast paced, often overlapped lyrics to be heard distinctly. Treloar leads five musicians in a rocking rendition of Larson’s infectious score. 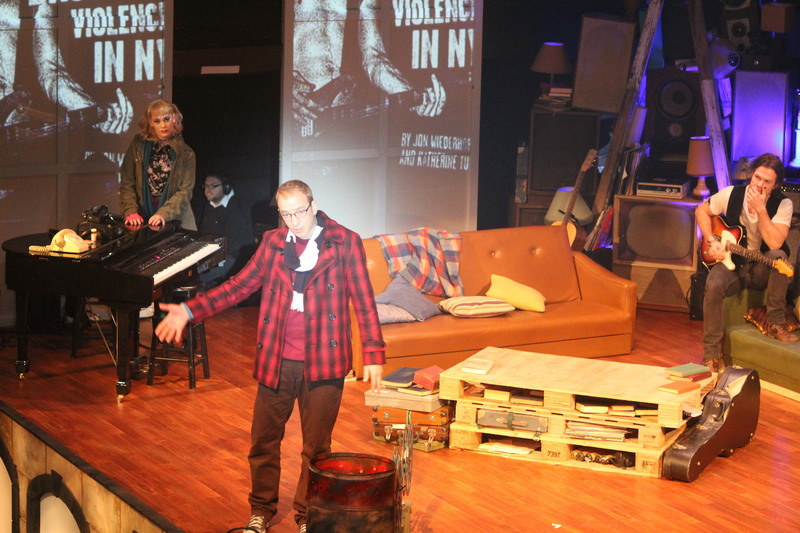 Watson’s concept for this production, as realised in his set design, backs the raised space of the apartment with four panels, which display projected stills, video clips and live video feed. The black and white images enhance and complement the action, an example being Roger’s visual memories of deceased girlfriend April, which make it clear why Mimi reminds him of her. An excellent use of stage levels comes during the support group meeting, during which we can still see the brooding Roger at home on the couch. Brad Alcock’s dappled lighting adds textured intrigue to the visual picture, with pinpoint spots helping to draw the eye to singers in the more frenetic scenes. At times, faces do not have quite enough light, but this is evidently a deliberate creative choice. 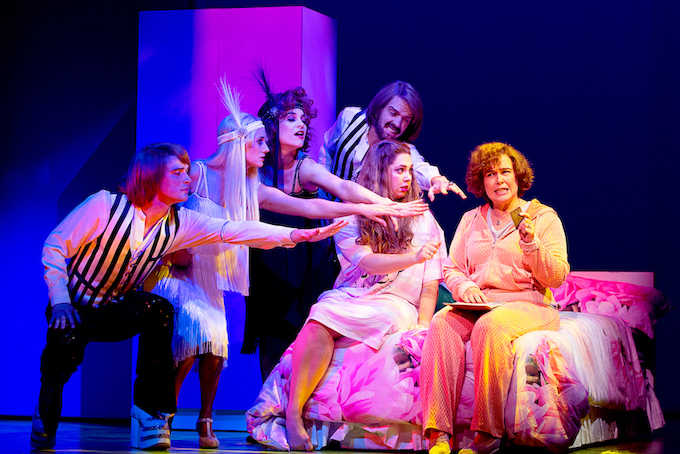 Pauline Greenwood’s costumes feature well-known touches such as Mark’s two-tone jumper, Angel’s Santa dress and Maureen’s cat suit. 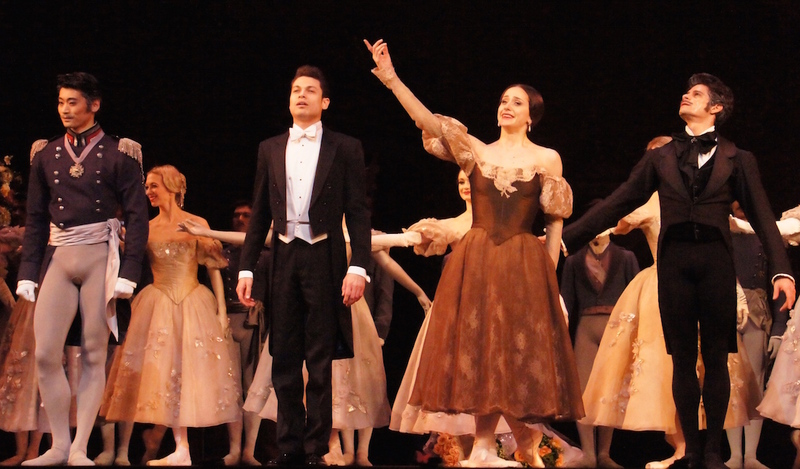 The decision to have leads and ensemble somewhat similarly dressed works for the most part, although Mimi is often lost in the full company scenes. The absence of Collins’ coat (“Well you missed a sleeve!”) was surely an opening night slip. 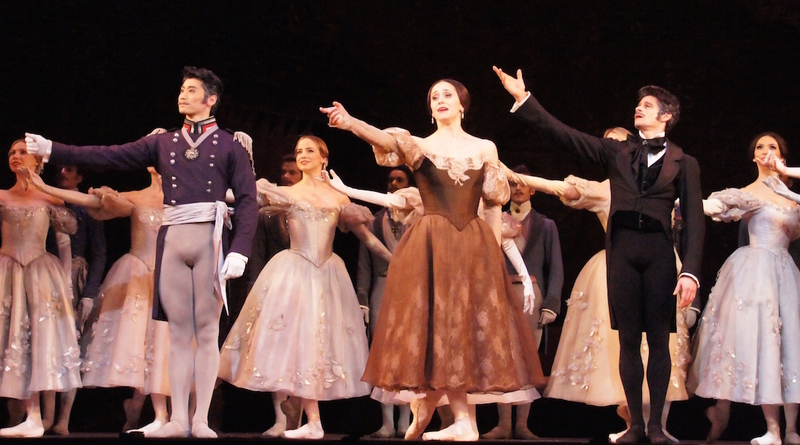 Some of the costumes, and glossy hair, of the ensemble may be a little too good for the situations being portrayed. Venessa Paech’s choreography gives an output for the youthful energy. A lovely touch comes during “Tango: Maureen” with three dancing couples that are boy-boy, girl-girl and girl-boy. Douglas Costello has the ideal breathy voice and rock star hair for sultry one-time bad boy Roger. Immersed in his character at all times, Costello provides a beautiful moment of body language during “Another Day” when Roger finally relaxes and succumbs to Mimi’s advances. Costello gives an expert performance of “One Song Glory,” starting softly so as to give himself plenty of room to build as the song progresses. 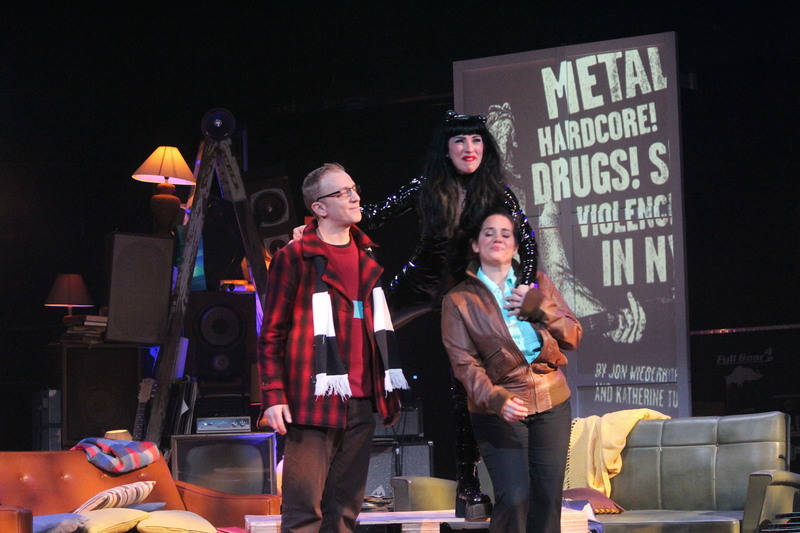 Gina Mets has a piercing intensity as Mimi, conveying the demons and foibles of the troubled young woman and avoiding the temptation of sweet sentimentality. Matt Skinner projects the joyful inner nerd of filmmaker Mark, a character who feeds off the emotions and actions of those around him. Skinner and Costello blaze through “What You Own,” their voices blending perfectly. As feisty lawyer Joanne, Denise Devlin makes her powerful voice look effortless, and strikes a nice balance between warmth and hostility. The snappy confidence Devlin displays in Joanne’ dueling phone calls in “We’re Ok” provides welcome humour. Jaye Thomas Nelson plays down the cuteness factor of Angel, making her more of a real person. Nelson effectively portrays Angel’s increasing fragility, leading to a moving conclusion for the character. 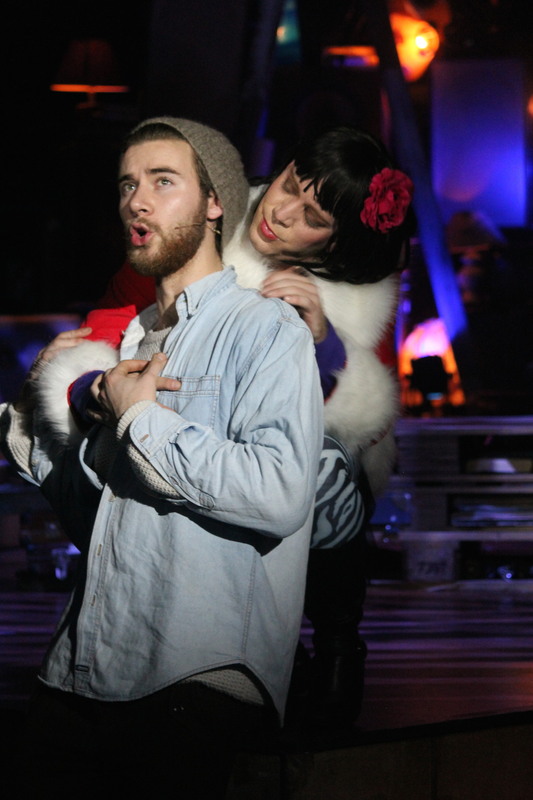 Joshua McGuane has a charming stage presence and a sweet voice, but does not quite have the required gravitas and bass voice for Collins. Adam Stafford is well cast as landlord Benny, looking exactly like a Range Rover-driving developer who would have a girlfriend named Muffy Allison. Stafford skillfully draws out Benny’s character arc, highlighting Benny’s self-interested relationship with Mimi and his twinges of regret of leaving the authentic lifestyle of his true friends for corporate life. Integral to the heart and soul of the show, the tight knit ensemble make invaluable contributions throughout. 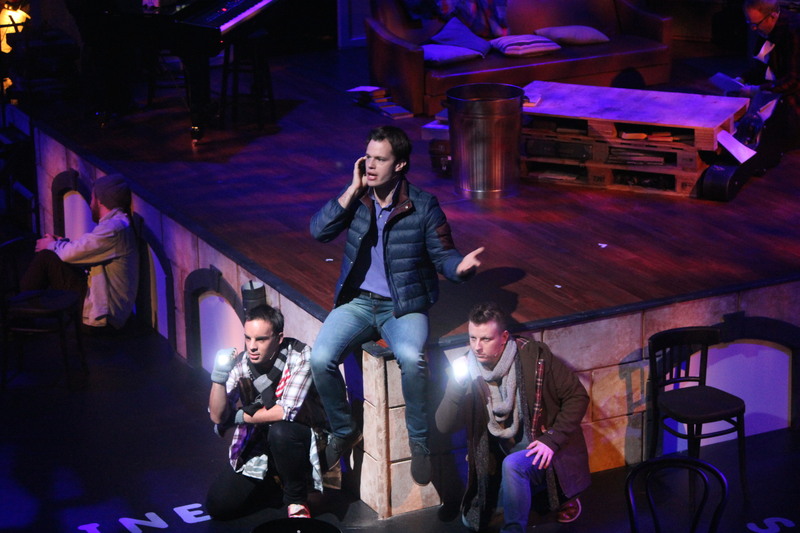 As well as displaying fine voice and dance talents, several members of the ensemble (and leads) bring out the artistic talents of the characters by occasionally playing instruments on stage. “Will I?” is a touching transition sequence performed by the ensemble. Rentheads will find new aspects to enjoy, and newcomers will find this an accessible, engaging production. 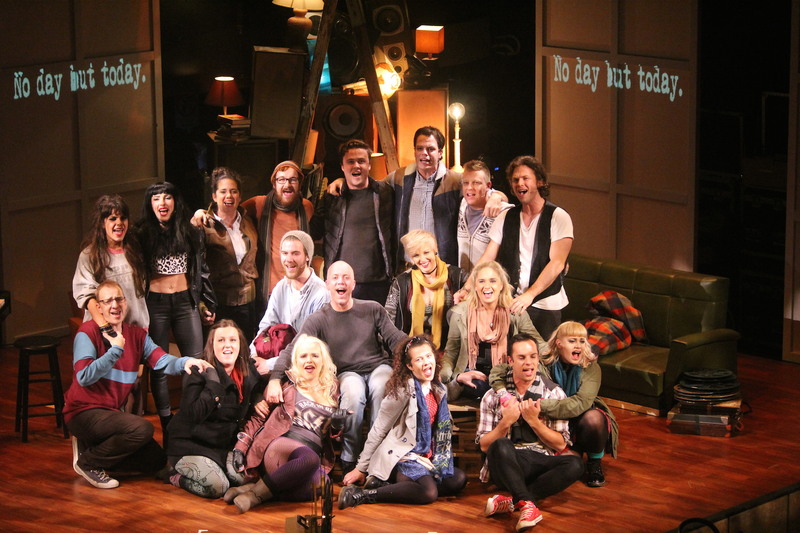 Rent plays at Drama Theatre, Geelong Performing Arts Centre until 12 July 2014.